Read Powertxt Vs IP below. When your equipment hangs/freezes have you ever been told by the IT department to turn the power off and then on again, well … that’s exactly what Powertxt does, it effectively performs a ‘hard reboot’ by turning the mains power to your equipment off and then on again (“rebooting it”). Some newer routers now have the facility to perform a ‘soft reboot’ where they can reset internally but this doesn’t fix every issue, it is estimated that over 70% of all downtime events can be solved with a hard power reboot. Every function is controlled by text message, so you just send a text message from your phone to Powertxt … it’s as easy as that! You can also choose to control power automatically by time & date (e.g. Power auto on at 7am and off at 6pm every Monday – Friday) or temperature (e.g. control a heater, Power auto on when the temp drops to 5 degrees and off when it rises to 15 degrees). 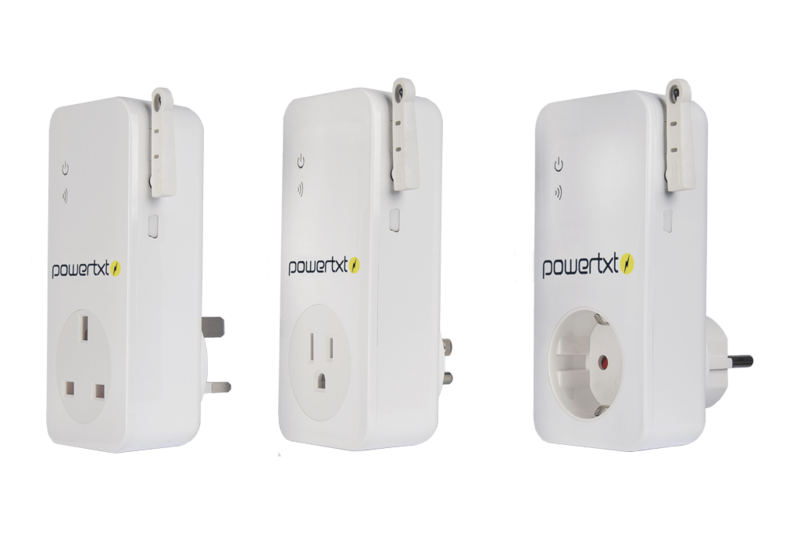 Powertxt is automatically programmed to send power loss alerts as default. Low signal? No problem! As Powertxt only uses SMS (no data) it can work in many areas where other technology fails, it works anywhere you can send a text message. Powertxt is currently used anywhere from metal cages and lockers to hospital basements with no signal issues. See all key Powertxt features on the left. “It is estimated that over 70% of all downtime events can be solved with a hard power reboot” Most Powertxt users get a return on investment with the first call out/engineering visit saved. This then mounts to a considerable cost saving when using Powertxt for several years. Also, uptime of equipment can be just as important so by using Powertxt you can ensure equipment downtime is kept as minimal as possible. With cyber hacks happening almost daily extra precautions have to be taken to ensure your equipment is safe, more and more customers are refusing to add any additional IP equipment to their networks due to the high risks. IP devices (accessed over a network) also have significant drawbacks vs Powertxt, firstly, IP power control requires technically qualified staff to set up, install & maintain (firewalls etc), most IP devices have multiple outlets which make them very expensive for single devices in multiple locations, they have a higher initial purchase price & yearly running costs (especially if a secure IP address is required) and most importantly they have considerable security risks by controlling power over a network susceptible to being hacked. Unlike IP power Powertxt is a simple plug and play solution with no technical installation required, it is set up with a couple of text message and can be done in minutes. 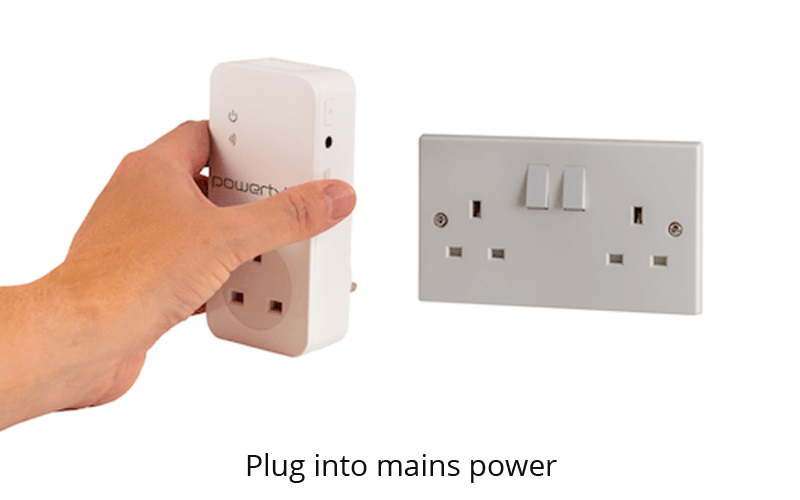 As Powertxt is plug and play it can be used for new installations and retro-fit to existing equipment easily. 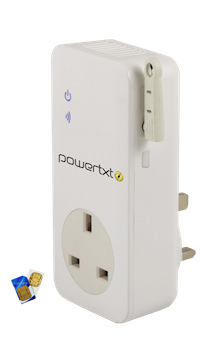 Unlike IP power, Powertxt can only control mains power it has no connection to the equipment itself. How do I control Powertxt? Is there a management tool? Yes! 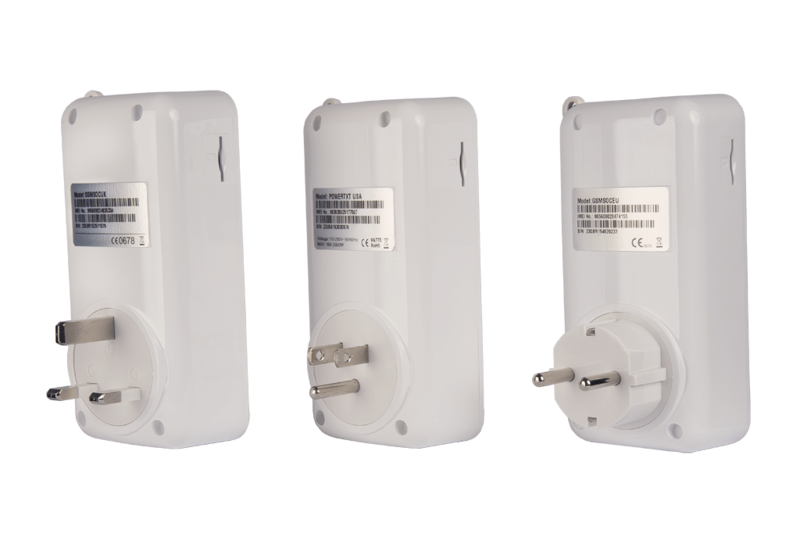 For a small amount of Powertxt devices these can be controlled easily with a mobile/cell phone but for larger numbers we have developed a dedicated management tool called EstateView. EstateView makes controlling large numbers of devices easy and simple, it can be accessed from anywhere and has many features. To read more about EstateView please click here or contact us for a free trial. Tekview have been supplying quality B2B remote rebooting solutions since 2011. Below are just some of our customers currently using our remote power control products. Amazon Smart Lockers – Powertxt is used on every router in the ‘Amazon Smart Lockers’ to ensure minimal downtime as customers may chose not to use this service again if they arrive at a locker that is down, these lockers need maximal uptime so customers can collect their parcel when they need to. ATMs – Powertxt is used inside ATMs so the equipment can be rebooted if there is a comms issue, Powertxt sends real-time power loss alerts so the customer knows when it’s an issue outside of their control and it also aids security if there is a potential cyber threat as the ATM can be remotely shut down immediately. Uptime is extremely important for customer satisfaction and revenue streams. ANPR Cameras – These can often be in dangerous locations making it extremely expensive for an engineer/s to visit site and in most cases the mains power supply is out of the customers control so knowing about a power outage is extremely important. Digital Signage – Powertxt is used to reboot routers and digital signage equipment, and it is also used to save on energy costs by turning the equipment off when not required e.g. in a train station or airport, which in turn can prolong the life of the equipment. Powertxt is used for a wide variety of equipment within many industries including digital signage, banking, smart lockers/kiosks, digital analytics, CCTV, ANPR cameras, IT & Communications, Energy & Utilities, Marine & Aquatics, Healthcare and we are finding customers using it for new applications all the time. What SIM/network should I use? What are the approximate running costs? 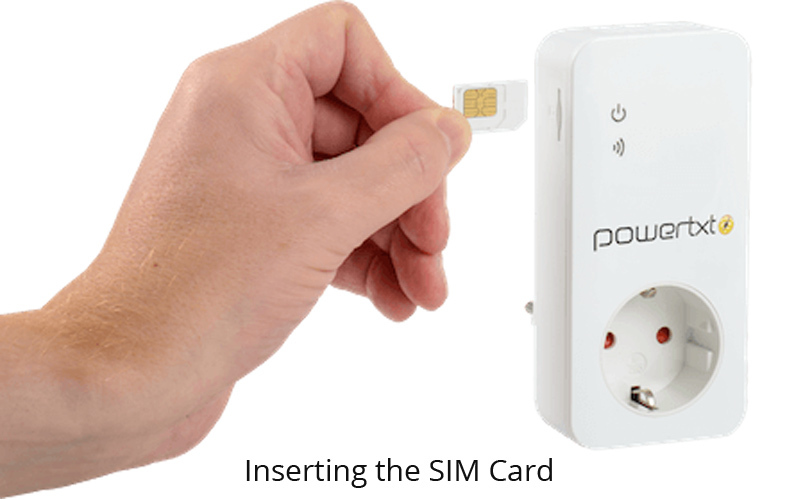 UK & EU Customers - Powertxt needs a SIM card to operate, we offer UK M2M (machine to machine SIMs), EU Roaming SIMs or you can use off the shelf PAYG SIMs (pay as you go). Running costs are very low and we have negotiated special rates for SMS only SIMs, currently approx. £1.25 pm (inc 10 SMS pm). As Powertxt uses 2G SMS’s if you chose to use a PAYG SIM the unit does not work with digital only networks e.g. Three. US Customers - Powertxt will work with both AT&T and T-Mobile. A SIM Card is effectively a small chip that goes inside Powertxt to allow it to connect to the GSM (cellular) networks. In Europe to use the GSM network ‘SIM cards’ are the only option and are readily available, however in the US it is split between CDMA and GSM (T-Mobile & AT&T). CDMA is where the network connectivity is physically built into the device and GSM uses a SIM card like Europe. Please ask your local reseller to help with M2M SIMs. 2) If you choose to use a PAYG SIM please ensure you send a command to Powertxt at least once a month because if the SIM card is not used for several months OFCOM can sometimes force the mobile operator to take the mobile number back if it’s not being regularly used. Where to buy? Or want more information?For the Powertxt product information sheet, M2M SIM prices or for a list of authorised resellers please email info@tekview-solutions.com or call +44 203 176 3094.